24 Jan 2017. 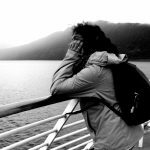 While it’s true that one of the coolest ways to grow familiar with a city is to wander its streets with no specific destination in mind, you may also want (at least from time to time) to build yourself a more specific itinerary in order to learn your way through that very city’s urban landscape. 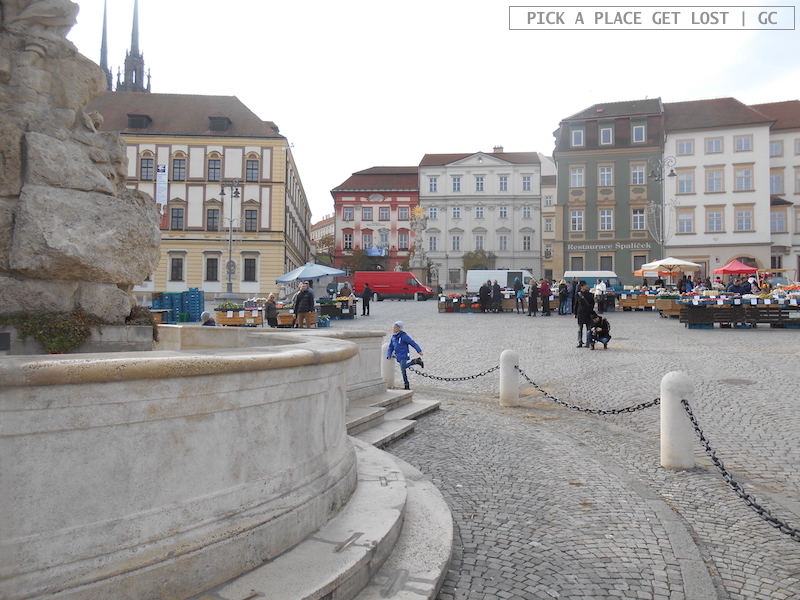 With Brno, squares do really come in handy when it comes to ‘mapping’ the city centre, so you know for sure where you’re going all the time. A walk around Brno squares is a journey through time and space. It’s like moving through the cultural, architectural and urban history of the city, and it’s like solving one of those puzzles where you have to connect the dots to make a figure appear out of nowhere. Yes, because the city centre is scattered with all types of squares, from tiny, secluded or less recognisable spots you can barely call squares to wide spaces framed by super majestic buildings. If you don’t know where to start, though, start from the basics, i.e. 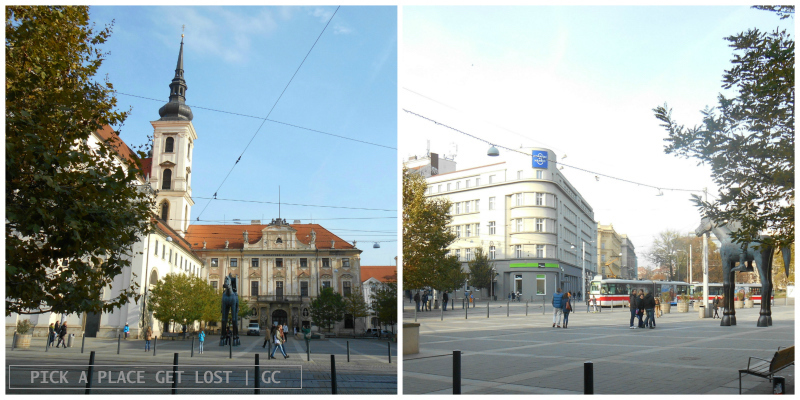 the three squares that, more than any others, mark the straightest itinerary across Brno historic centre: Moravské náměstí (Moravian Square), náměstí Svobody (Freedom Square) and Zelný trh (Vegetable Market). Moravské náměstí (Moravian Square) is the one that looks a bit chaotic at first sight, but gradually reveals itself as a bundle of surprisingly beautiful spots, like the massive St. Thomas church with its Baroque facade and Místodržitelský palác (the Governor’s Palace), one of the Moravian Gallery venues. Nor will you fail to notice the elements symbolising the four virtues of Plato: Temperance is an oblong fountain, Wisdom is the city model from the Thirty Years War-time, Justice is a broad-shouldered man struggling to lift a heavy block, and Courage is the statue of the Margrave Jošt proudly sitting on a horse whose abnormally long legs make it look like a Giraffe (as it is commonly referred to). 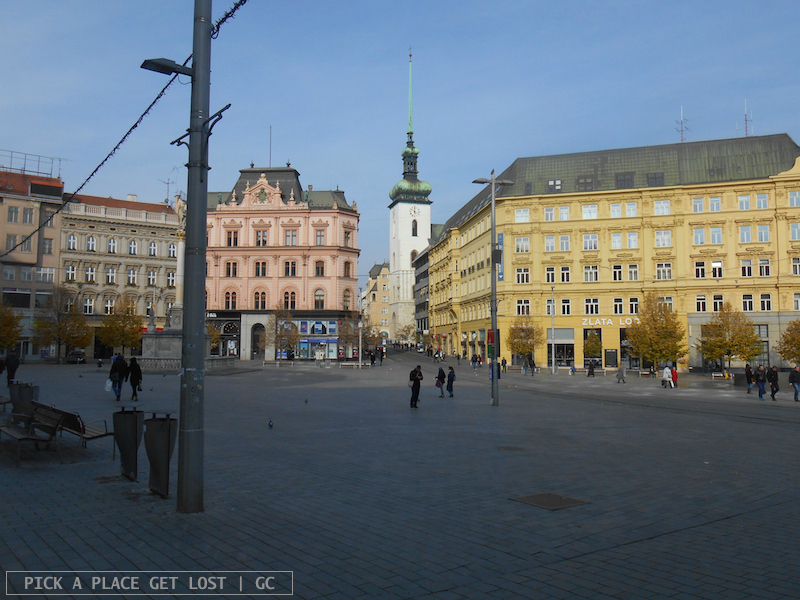 The square provides an ideal starting point if you fancy a walk down the whole diagonal that cuts in half Brno historic centre, which diagonal you obtain by connecting Moravské náměstí with the next two available dots, náměstí Svobody and Zelný trh. 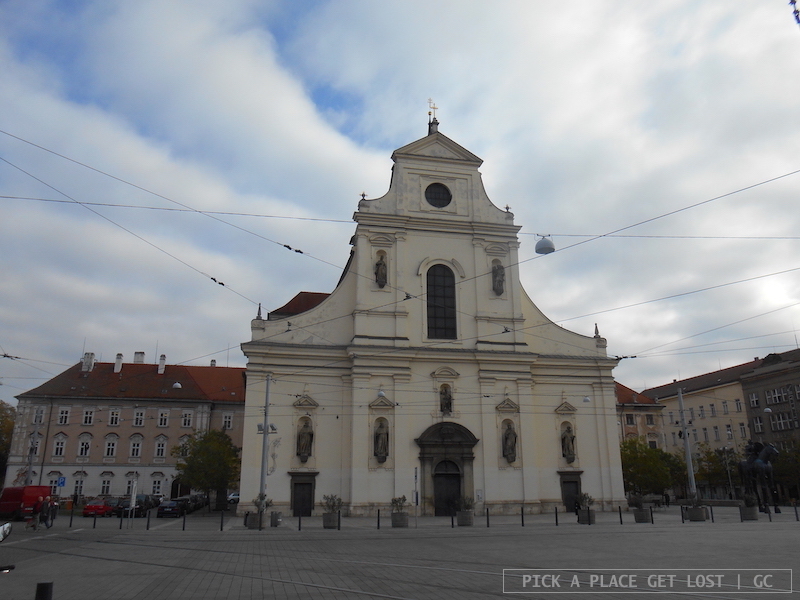 If you keep St. Thomas church on your left and look ahead toward Rašínova St., you virtually see it all. 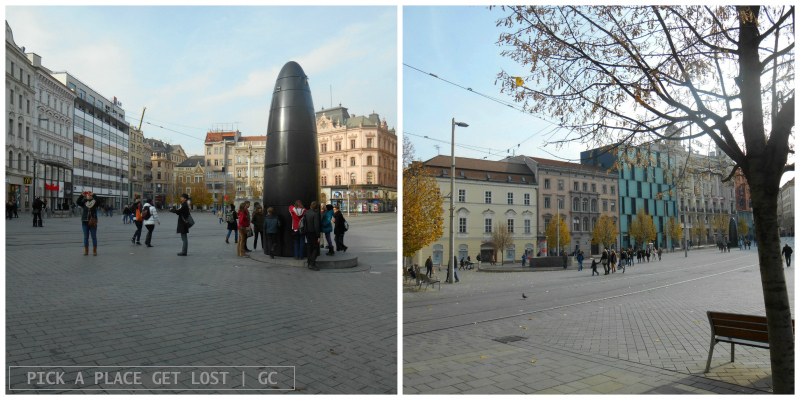 Náměstí Svobody (Freedom Square) is the one you call ‘square’ by name, but not in terms of shape: it’s as similar to an isosceles triangle as it can get. The buildings and monuments here are particularly rich in history and culture. The plague column erected in 1689 is a powerful reminder of the victims of the Middle Ages epidemics, while the House of the Lords of Lipá (Dům Pánů z Lipé) and the Klein Palace (Kleinův palác) both belonged to wealthy traders from the area. The House of the four ‘Mamlas’ (Dům u čtyř mamlasů) is no less sumptuous, though its four statues of giants, originally meant as bulky telamons, look in fact like they’re goofily trying to cover their limbs (hence the name ‘mamlas’). As for modern architecture from the 20th and 21th century, well, you can easily tell where exactly it sneaked its way into the square. 5. well, it is objectively phallic-shaped. With Rašínova St. náměstí Svobody forms an arrow pointing ideally toward the third and final dot in line, Zelný trh (Vegetable Market). ‘Ideally’, because in this case (and this case only) the line connecting the two squares is not a straight one. In fact, you have to ‘bend’ to the left a segment of Masarykova St. in order to connect the two, but since the side street off Masarykova is already called Zelný trh, the metaphor of the straight line can still be considered valid. Zelný trh is the one that goes uphill and the one whose shape most resembles an actual square. It is by definition the market square: it displays colourful stalls selling fruits and vegetables (and more) on a daily basis. Landmark buildings surround the square on all four sides, namely Dietrichstein Palace (venue of the Moravian Museum), the Grandezza Hotel, and theatres Reduta and Goose on a String (Husa na provázku), which contribute to reminding that Brno citizens are passionate theatregoers. At this point you’re equally free to either finish off you itinerary in one of the many cafes strategically located around Zelný trh or step off the beaten track and explore the fabric of the historic centre and its myriad of narrow streets. You will most certainly come across one or more types of squares among those mentioned above, and you may feel like you’re lost in the bundle of alleys forming the city centre. Nothing to worry about, though: give it a few minutes, and you’ll be back to ‘square’ one. 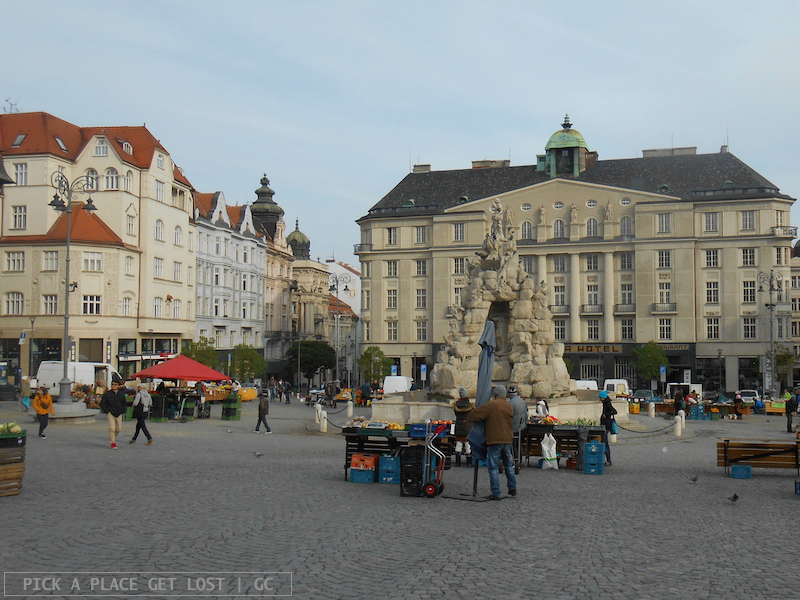 This entry was posted in Brno, Czech Republic and tagged brno, brno centre, freedom square, moravian square, moravské náměstí, náměstí svobody, vegetable market, zelný trh by Giorgia. Bookmark the permalink.